DescriptionA richly patinated 18th century Oak Corner Cupboard. 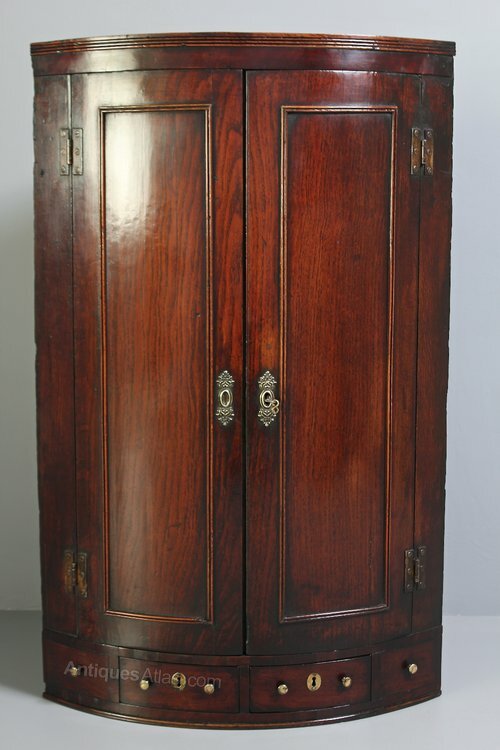 The bow front has applied reeded decoration that imitates panelling to the 2 doors. 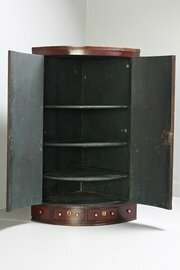 The shelved interior has an old blue/green painted surface, and the shelves are fitted to take plates at the back. Below are 2 real and 2 dummy drawers. 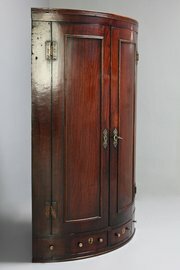 In excellent condition, with original brassware and superb colour, this is a fine piece of mid Georgian country furniture. Circa 1770.